This is one of the most spectacular landscapes in Scotland - the estate is sandwiched between rugged, soaring mountains and the stunning blue sea loch. The 50 acre estate grounds have mature native trees and a dramatic waterfall - it is a hidden gem. The shoreline of Loch Torridon is ideal for picnicing, walking or birdwatching. Even without driving anywhere you can walk into the hills, climb a different Munro (3000 feet mountain) every day or sit by the beach and watch otters, pine martins or hundreds of birds. Wake up in the morning and spot the stags outside your window. Families will find this place a true adventure in the wilderness - living in a comfortable Scottish cottage and relaxing by the log fire at night after the day's adventures. There is a great outdoor centre in Torridon which offers kayaking, coasteering, archery, gorge scrambling and many other activities. Bring your fishing gear to fish in the river which courses through the estate (salmon and sea trout) - loch or sea fishing can be arranged too. The south-facing garden is a sun trap so you can relax with a book and enjoy the amazing surroundings if you just want a quiet and restful holiday in a very special part of Scotland! The Gardener's Cottage is a perfect place for families, walkers and outdoor enthusiasts or anyone who is looking for a tranquil getaway. 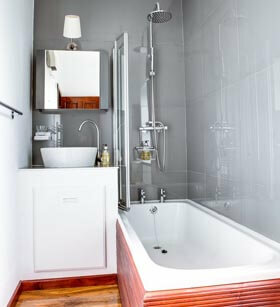 It has been completely refurbished in 2016, both inside and outside. 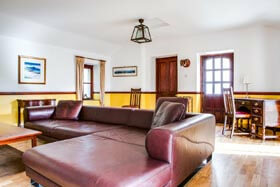 There are wooden floors in all rooms, a large living room with a comfy leather sofa in front of the open fire. 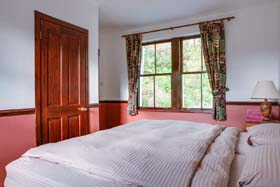 The bedrooms are all very comfortable and the kitchen is equipped with everything you'll need. Outside there is a large walled garden where it is safe for children to play. There is a river, fishing pond and waterfall in the grounds so young children must be supervised. The south facing garden is a sun trap and there are garden chairs and a table for al fresco dining when the weather is good! Take the A835 from Inverness towards Ullapool, turn after Garve onto the A832 towards Achnasheen. Straight through the roundabout at Achnasheen towards Kinlochewe turn left onto the A896. Follow the single track road until you see the sign for Torridon. Turn right into the village, keep going through the village along the coast until you see the sign "Welcome to Torridon Estate". Drive on the private road until you see the signs for the cottages. If you come up the West Coast or the NC 500 you will approach Torridon village from the south. Take a left and follow same instructions to find the Torridon Estate. The house is available all year round. Short breaks welcome. 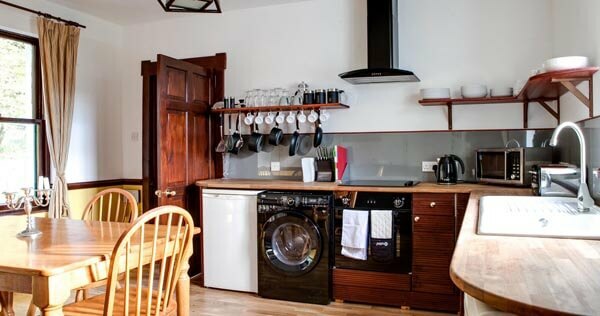 To book this fabulous highland self catering cottage for 6, click the enquiry button below and see availability and prices. 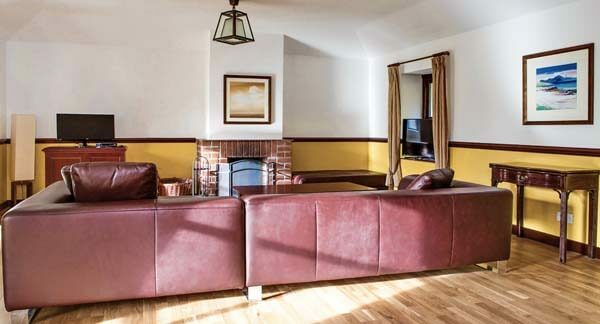 This newly refurbished cottage will appeal for those on a walking holiday in Scotland as well as those wanting to do all kinds of outdoor pursuits, from kayaking to fishing. 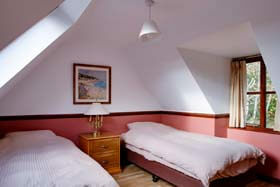 The 3 bed cottage is also very popular with families wanting peace and quiet and sandy beaches.